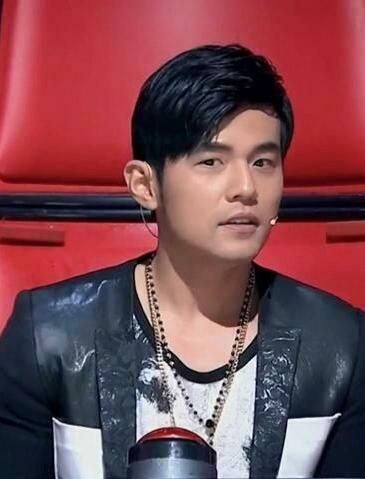 It's catch-up time here for Episodes 2 and 3 of The Voice Of China 4! 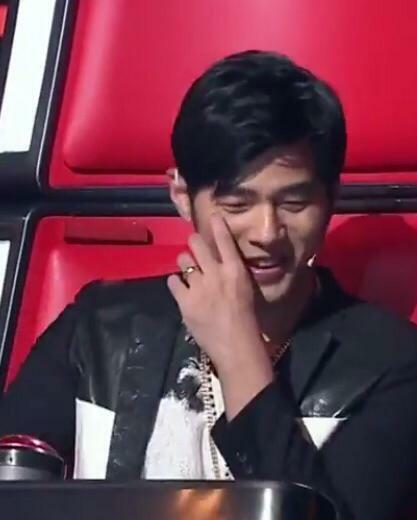 Let me clarify again that my posts about this programme are not intended to be a comprehensive write-up about all the contestants, as my main reason to watch is Jay Chou and my level of Chinese and knowledge of Chinese music in general is only fair. Jay has been nothing short of entertaining on this show as I mentioned in my post on Episode 1. There are loads of super adorable pics of him on the Page album. Harlem Yu tried to make fun of Jay's standard of English and was put in his place by Jay's cool rejoinder, without the latter having to speak a single word in that lingo....lol! All Jay had to say was that he had acted in two Hollywood movies, the first of which was of course as Kato in The Green Hornet alongside Seth Rogen, Cameron Diaz and Christoph Waltz. Michael Liu from USA with Nunchucks, rapping in six different languages viz English, Chinese, Korean, Spanish, Russian and German! Jay's reactions were priceless and he was curious to hear the rap in French but still decided that Chinese was better. 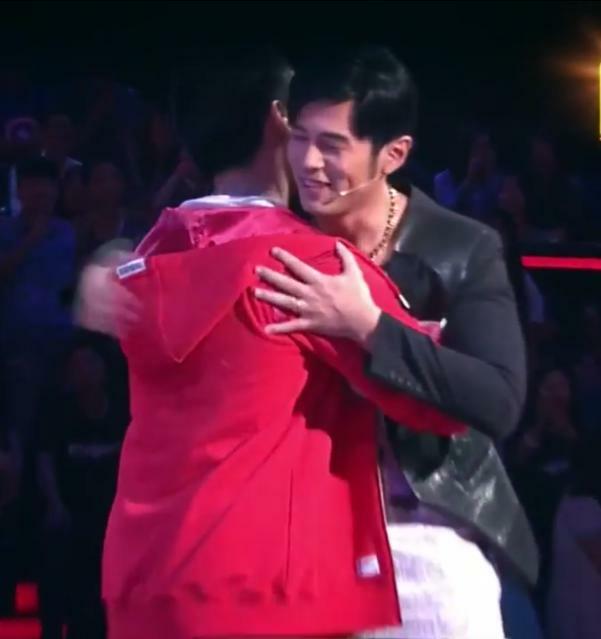 He was most impressed and was even more chuffed when Michael mentioned that he first got to know Jay's music during Chinese lessons in America, so much so that he just had to go up to Michael and give him a hug. Which made Harlem protest that he had not been chosen yet! The banter between the mentors is very funny! 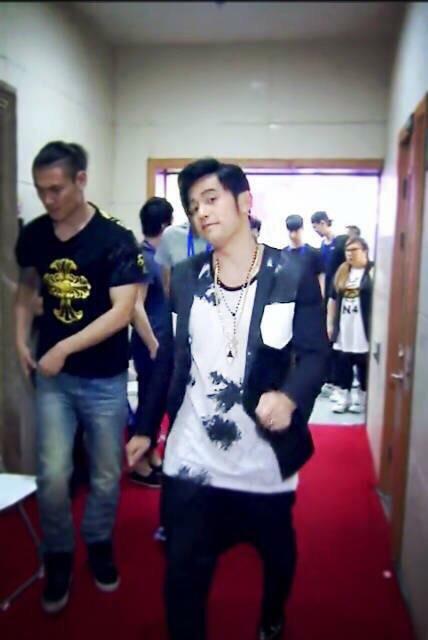 Jiang Yuan Nan sang a Chinsese style song mashed with R&B, which Jay liked. There was a fair amount of friendly rivalry between the mentors again but most of them felt that he had already made his choice. Jay even 'threatened' to throw the canned drink at him if he (Jay) was not chosen...lol! Fangirl squeal from this sweet 17-year-old who was quite overwhelmed but grateful to have a chnace to sing on the show, calling it the best birthday present she could ever have. At 7:00, she blurts out that this was the first time she has seen Jay in person and that he is even more handsome than he appears in photos! 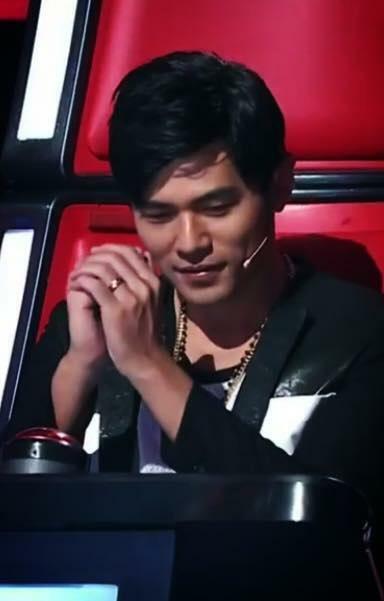 Jay looked pleased but quickly changed the subject to encourage her to persevere and have self-belief, citing his own experience when he started out as a songwriter, a story which most Jay Chou fans would be familiar with by now. For non-fans, what Jay said would have been a revelation. Keep following the Page as I frequently Share from many other Pages and sites as well! Thank you for sharing. I watched this show in Chinese and the links are great as I only understand some Chinese.